Are you looking for which federal government agencies or job in Nigeria pay the highest salary? This post covers it all plus the monthly figures you will earn in the federal civil service. Top 5 Highest Paying Federal Government Jobs in Nigeria 2019 and their salaries. In the 70s, 80s and 90s many young graduates refused to work in government parastatals. They believed that the pay package in these government agencies were poor. This brought about a multiplicity of job openings in those agencies. Today, the trend has reversed, this is because the increase in the number of universities has brought about a resultant increase in the number of graduates. This has in turn increased the unemployment rate in the country. Sequel to this, the employment opportunities in the federal government agencies have drastically reduced. It is now very difficult to gain employment into these organisations. The pay package in the federal parastatal is now very juicy. They rank among the highest paying jobs around. In addition to this, having a regular stream of income and earning pension at old age is very appealing. Just like in the Private sector, the pay package in the federal agencies depends on the sector. As usual, the oil and gas, health, maritime and banking sectors are at the top of the pecking order in terms of the take home salaries. In this article, we shall highlight the highest paying federal government agencies and their average monthly pay package. The NNPC is the agency that pays highest and manages the federal government’s oil and gas dealings within and outside the country. 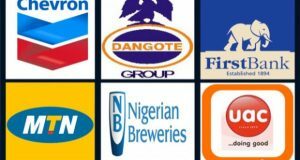 They are the platform for joint venture between the FG and the multinational companies like ExxonMobil, chevron, Agip, Schlumberger, etc. The central Bank of Nigeria is one of the top 5 highest paying federal government parastatals. Activities of the CBN is usually kept secret, but nothing is hidden in this technological era. This is another high paying firm. The staff here carts home decent pay monthly. NIMASA jobs has a very special salary scale. Their entry-level staff earns about #240,000 naira monthly. The only problem is getting a job within. I hope the above information have widened your ideas about the pay packages of some of the highest paying Federal government agencies. For enquiries, please use the comment box. Have the Federal Government Imported the Grass?